Music Director of WLUW 88.7 FM, Frankie Deimer, chatted with Sean Desiree of Bell’s Roar on activism through music, genre-bending and the Art Funds Art Tour, a project providing grants to other queer and trans people of color (QTPOC) artists. 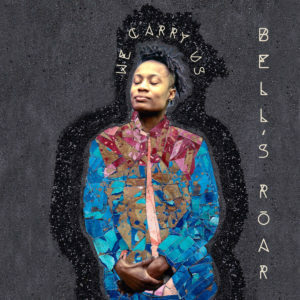 The title of the project, Bell’s Roar, is a reference to the feminist writer, bell hooks, and is used as a reference point throughout their music. For Desiree, music is woven with their identity as a non-binary person of color. After the release of their debut full-length album, We Carry Us, and the first leg of The Art Funds Art Tour wrapping up, Deimer spoke with Desiree [regarding] the inspiration for the project Bell’s Roar and why it definitely isn’t hip-hop music. You’ve had a pretty eventful start to 2018, from your debut full-length, We Carry Us, to your tour, The Art Funds Art Tour — how did the first leg of it go? The tour went really well, I definitely learned a lot from the whole process. 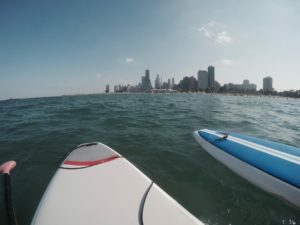 It was my first time doing it and the first leg of the tour. I went from Albany, New York where I live, down to Atlanta and made stops along the way, like in Philly, Boston and Baltimore. In each city, I connected with local acts to play the show with me, so it was a really great way to make connections with different artists along the way — some of them I knew, some of them I didn’t. What was it like seeing the Art Funds Art Tour come to fruition? I think everyone involved in the project was super down with the concept of it, which was to give away proceeds from each show to a local artist. There are so many artists out there in need of funds, including me, and that’s how I came up with the idea. I wanted my shows to be more than just about people coming out to see me, but a way to support the community as well. I think it went really well and I have so many ideas to improve it. I really enjoy curating shows as well and having control over the whole experience. What’s an example of how a tour stop on the Art Funds Art Tour went? I tried to organize with someone who was involved with local shows in the city. We were able to raise enough money before the show through local organizations for the grant. For example, we were able to give out a grant to Billie Dean Thomas who is kind of a hip-hop/indie/opera performing artist. Can you tell me about your activism and how that’s informed your project, Bell’s Roar? I grew up in New York City [and] probably around high school was when I really started to think more about [the] world and my place in it — and what I can contribute to it. I became involved with “Think Outside the System,” a queer, trans, people of color-led organization which involved thinking of a community without cops, focusing on more community involvement and looking out for each other, so that was really great to get a foundation. 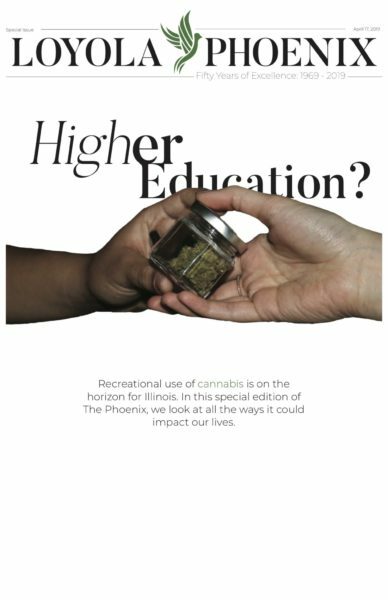 Throughout college, I was involved in a lot more environmental issues. Now, I want to use my music as a way to directly supporting people. The Art Funds Art Tour is kind of the beginning of that process and figuring out how my music can be useful for that movement. The name for your project Bell’s Roar is a reference to the feminist writer and social activist, bell hooks. How much of your work is informed by hooks? I feel like the actual lyrics and how I write are not so much directly linked to her, but [she] acts kind of as a reference point for things that I believe in, things that I try to touch upon when I’m writing. My music is very much linked to my identity as a non-binary face, or how I feel about the world — my joys, all that. So it’s not solely inspired by her work but I find her work, and the work of others, to be very important. What keeps you honest in your lyricism? I really do care about that, and I try hard to be genuine because it’s an opportunity to connect people and for people to get something from your music. Lyrics are definitely the hardest part for me. I find writing music easier. The lyrics take a long time for me — I want them to mean something and to convey a message. I just try to remember that these are my lyrics and my songs and I don’t really need to overthink it. What genre would you classify your music in? Do you find people classifying you in a particular genre you don’t agree with? The only [time] I don’t understand what people are listening to [is] when they’re like, “hip hop” — it’s not hip-hop at all, so I don’t really know what they’re talking about [she said laughing]. I think indie-rock makes sense; electronic, soul, and R&B makes sense too. So I think all of those together make up the sound. I think people are quick to throw music in one genre box but your sound is definitely a blended one. Yeah, I feel like it’s hard to place me. It’s also hard for me to find artists that sound similar to me. After this leg of the tour, what’s next for you? I’d like to think about how to bring The Art Funds Art Tour to other cities around the U.S. I definitely want to make more music and I’d like to start producing music for other artists. Bell’s Roar upcoming tour dates will be available soon. To further support and find out more about Bell’s Roar and the Art Funds Art Tour, check out their debut album, We Carry Us, on Spotify or their website and visit Art Funds Art Tour to contribute to the organization.